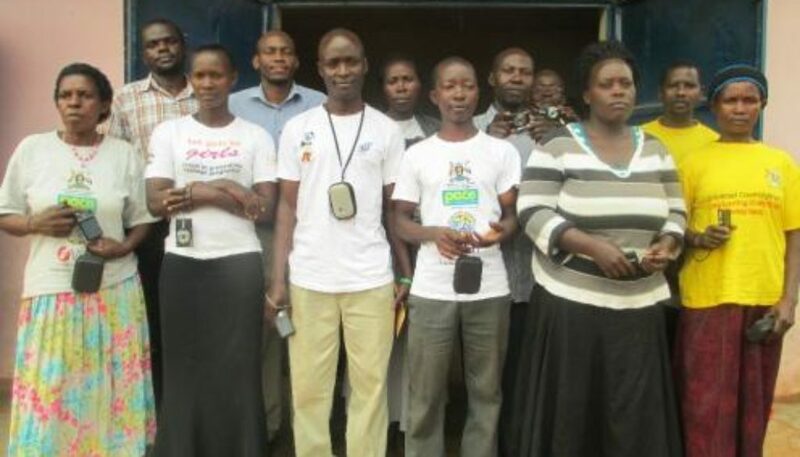 This blog discusses the use of photovoice to explore issues related to gender and ethics within the health system in Uganda. Gender and ethics are important aspects of the health system in terms of human resources and health seeking decision making in the community. Women are more affected by inequalities in the health system because of various reasons, including their health seeking behaviours sometimes being influenced by their spouses. Additionally, there are ethical concerns regarding the practice of Community Health Workers (CHWs) related to their work, such as responsibility in delivery of care, respect and equity. CHWs play a big role in supporting the health system as the first contact for health service provision in the community, especially in the rural areas in Uganda. They are community volunteers who serve their communities and carry out health promotion and social mobilization activities, including treatment of childhood illnesses such as malaria, pneumonia and diarrhoea. Several studies have been done among CHWs worldwide and in Uganda. However, minimal literature exists on gender and ethical issues that they face in execution of their work. In addition, in most studies concerning CHWs, their involvement in the various stages of the research process has been minimal. Our study employed photovoice, which is a community based participatory research methodology that involves taking pictures of aspects and experiences within the community which are shared with others. These photographs are later discussed among the research group to generate ideas pertinent to the study theme. In order to orient CHWs before photography, a training was held in order to inform their decisions in taking photos related to the research. The aim of the research was to explore issues of gender and ethics among CHWs in rural Wakiso district, Uganda. The training, which involved 10 CHWs, was participatory with CHWs sharing their understanding of gender and ethics, and some of the related issues they face in their work. The one-day training had 3 sessions. In the first session, CHWs were introduced to the study focus (gender and ethics), photovoice methodology and research principles (including the ethics of taking photographs). Generally, the CHWs showed a good understanding of gender and ethics related to their work by identifying key issues related to the study themes such as their roles based on gender, and ethical challenges faced in their work. During the second session, participants were asked to share their experiences on gender and ethics in relation to their work. Among the issues raised were female CHWs occasionally being vulnerable to sexual advances by men, women’s societal role in community is to do house work, and male CHWs finding it easier than their female counterparts to traverse villages to visit homes and provide health education. Regarding ethics, issues mentioned included ensuring equity in service provision without discrimination of any form, attending refresher courses whenever possible to get adequate knowledge and skills required in their work, and using CHWs manuals to guide them while carrying out their work. In the third and last session, CHWs were trained on the use and care of cameras for use in the photovoice research. During this session, each member was given a camera. Among the issues taught included taking photos, charging the cameras, and how to protect them. The training was an opportunity for the researchers to ensure the CHWs understood the design and themes of the study so as to enable them take photos for subsequent discussion as part of the research. In conclusion, the training held among the CHWs was important for them to appreciate the use of photography in research as well as get acquainted with the study focus of gender and ethics. This was necessary for the CHWs so as to be able to carry out the photography assignment as part of the photovoice research. This research is expected to establish gender related roles of CHWs as well as ethical issues they face in their work so as to inform the design and implementation of future programmes to ensure communities maximally benefit from their services.